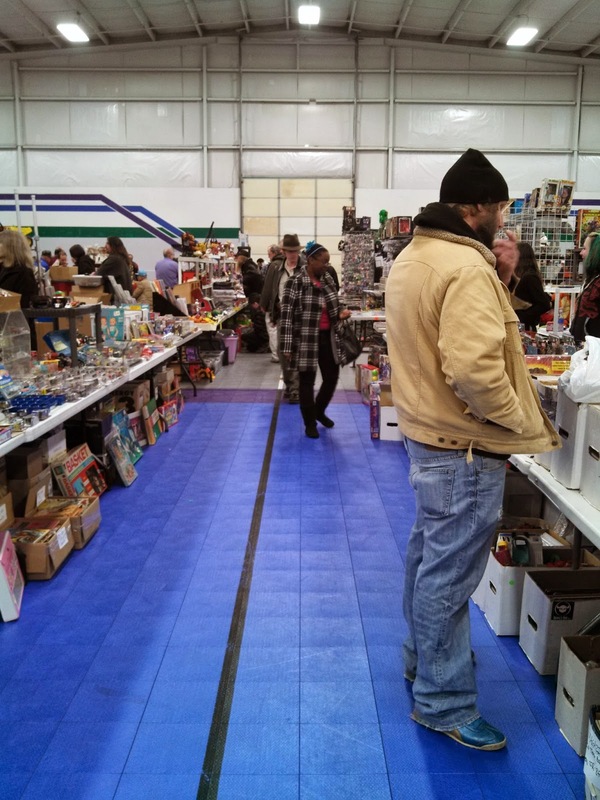 The Toy and Comic Expo by our house is today. It's the same show we attended last year and again earlier this year. 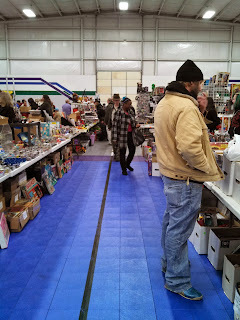 The building is also where they had the Grand Rapids Comic Con earlier this year. 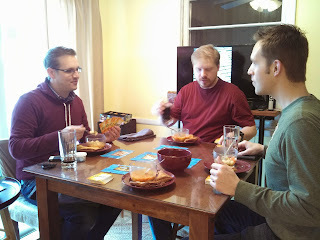 Jeff and Dan were there of course, so we met up with them then headed back to our place for some SmashUp and lunch. There's not a whole lot of craft tables at the Toy Show, but I still managed to find something. 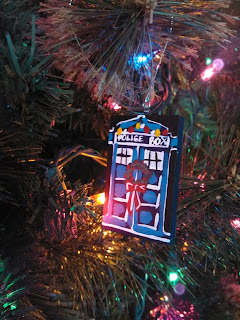 So I picked up a cute Tardis tree ornament while I was there. 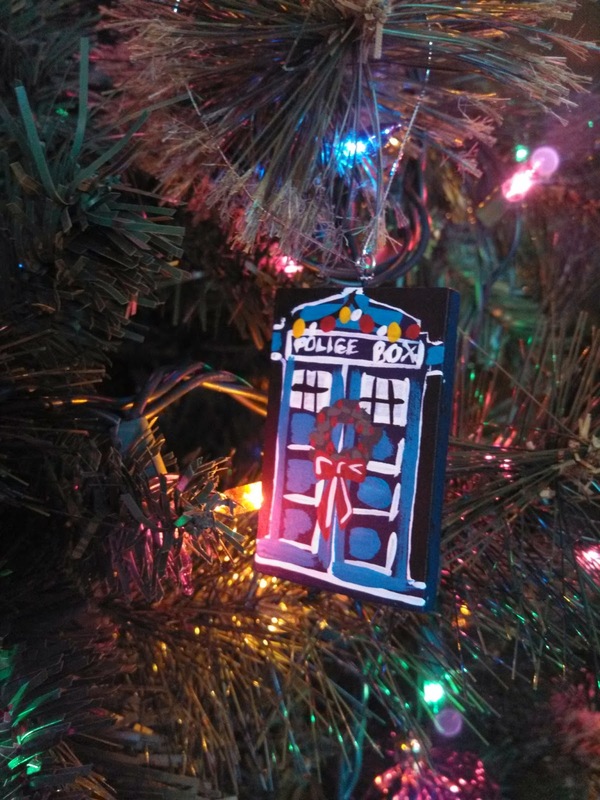 It's actually by the same person who did the pins I'd bought earlier this year.